SEO Leaders are the most advanced digital marketing, web development and SEO Agency London has to offer. We eat, live, breathe and dream about SEO and growing and developing digital businesses. 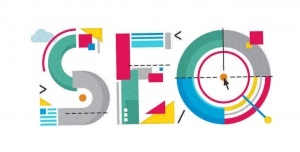 Our London SEO services comprise of full service technical SEO packages ranging down to link building packages or Social Media Marketing using our proven teams of industry leading experts. Our project management experience ranges from working with local SME's right through to big brand household names who we work for on various ongoing projects as we have a talent pool and skills base that is not available to them from the open market. Twenty years in SEO? Yes, our most experienced staff have that and more, some of our team have been writing code since the early 1980's in fact, from the earliest days of the ZX81 release. Our core skill set is a deep experience of business and the sales process combined with our technical skillset. We are not solely a techy geeky agency, but one that has a lot of commercial savvy and aims to provide maximum return on investment for all of our clients. We are experts at brand building, and helping brands to maximise their online potential, local search initiaves and National Search campaigns. Our ecommerce SEO experience has been honed over more than 20 years and we have proven deep skills in optimising for Magento, Woocommerce, Opencart, Zencart and pretty much any ecommerce packages that are used. We believe we bring clarity, trust and a large degree of transparency to an industry that has built itself a representation for over promising and under delivering. The benefits of using SEO Leaders as your London SEO Agency is that our pricing is minus the 'London Tax' so you can buy more high quality SEO work for your budget. Consistently superb results, amazing communication and a long list of happy clients are ongoing proof that we are delivering. We are a goals driven agency, we use data to establish ambitious objectives and then monitor progress and provide easy to understand reporting on a pre agreed basis. Resultantly. SEO Leaders is quickly building a reputation as a top National Digital Marketing, Web Development and SEO agency. We have a full development team to bring to life any web development project you may require, while our SEO and Digital Marketing experts work hand in hand with the web development team to ensure that it is built from the ground up to RANK! That set's us apart from single service web development companies, who will build a site with very little thought for it ever ranking, meaning that the SEO Agency who has to deal with it, can have am impossible task on their hands. Resultantly, we offer technical reporting on your existing website for SEO factors and can then implement edits using our web developers or pass instructions to yours if you prefer this. The London SEO industry is very competitive and with good reason, but the agencies who have risen to the top like SEO Leaders have a large degree of commercial acumen, and are focused on maximising your return on investment. We want to make you lots of money!! so in turn you retain our services and our reputation is yet further enhanced. Please submit this SEO assessment form for a free analysis and so one of our SEO Consultants can call you to discuss what we can do for your company.